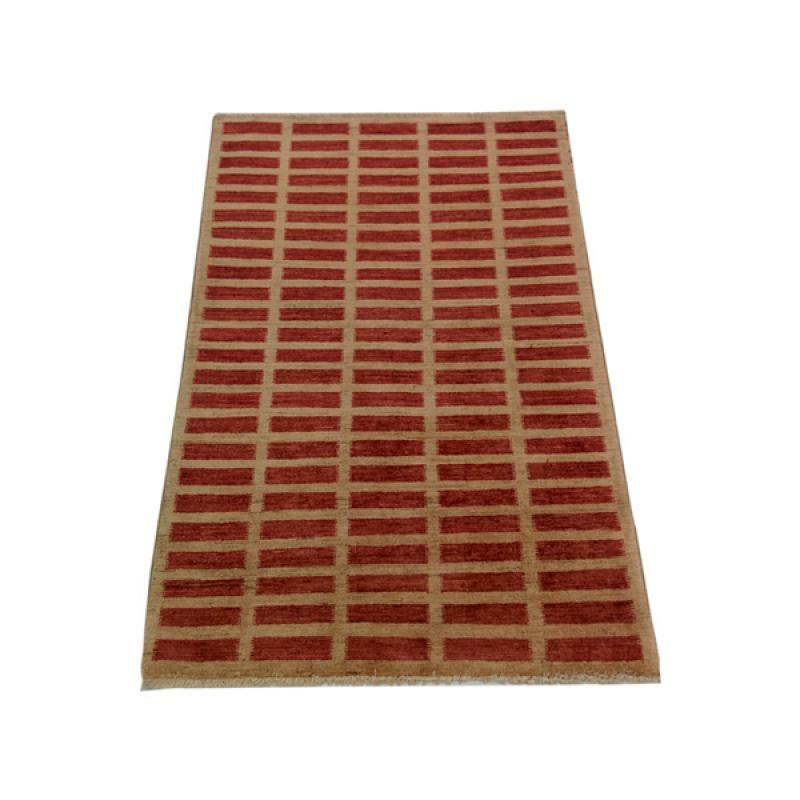 Rust red and gold, Chobi, vegetable dye rug in classic brick beige stripe design that are hand knotted with unique details and colour balanced by master artisans. 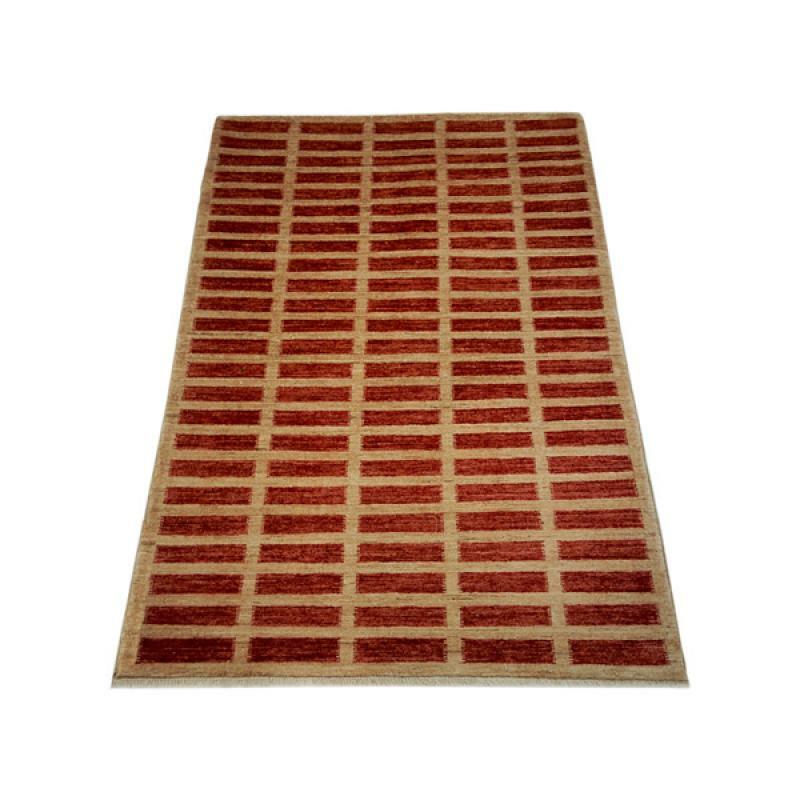 This rug that is finely woven with superior quality wool, is sized at 3'10" x 5'10" ft. and will definitely give an Oriental touch to your flooring. 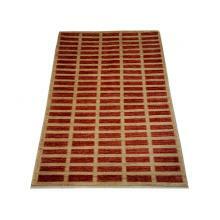 Vegetable dye and wool enhances wonderful natural variation in colours.